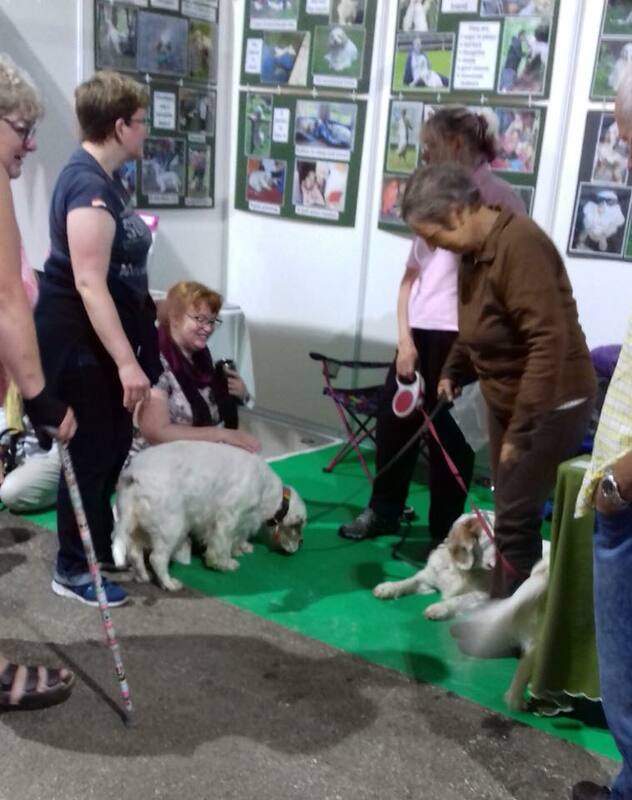 More than 300 people visited the Clumber stand at the Pet Show at Stafford last weekend. Many had never seen the breed before and were impressed with how well our dogs behaved especially with young children who sat between them to have a photo taken. Others came because they were specifically interested and wanted to know more about the breed. It was great to see Chester and his new owners who had contacted our rescue scheme after seeing us last year; and also Brian who brought his owners to meet us. Both are hoping to join a Clumber walk soon as they, like many Clumber owners, never get the chance to meet another Clumber owner. Big thanks to Daisy and Louise Grant; Georgie and Maggie Loughran; and of course our own Bella and Chloe for their efforts. Lastly best wishes to Charlie who was poorly and had to pull out at short notice. Rachel Barton please let us know how he is getting on.